Lovelovelove this ex Toyo fleet owned delivery truck. Looking for a bit lower front valence. Yes air dam sort of thing. I cannot find a listing though. Any thoughts? Is this a 2WD or 4WD? I'm not sure that it makes a difference but you never know. Where have you looked? With a vehicle this old, it might be kinda hard to find one. 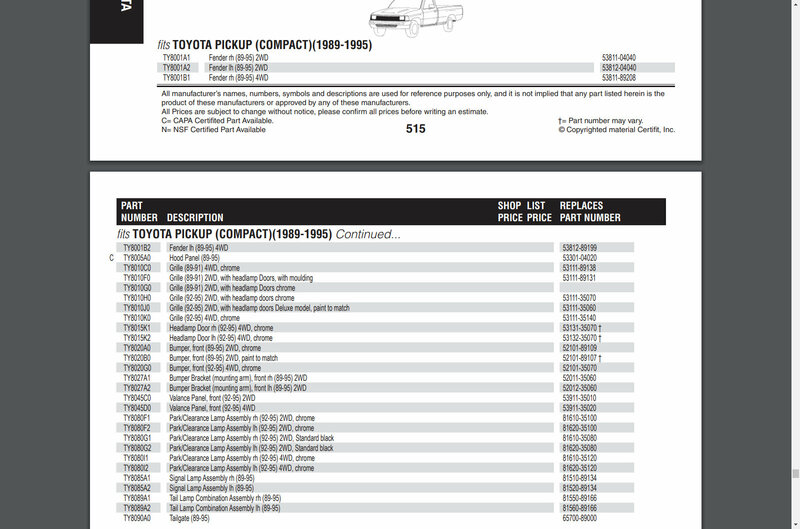 Have you given www.car-part.com a visit and maybe one of the parts yards still might have one available? Seems that Certifit might have what you need. Do you know if you have one locally or near you? I'm not sure if they will ship or not. Using the above part number, it seems that it's still stocked by Toyota. Here's one of the online discounted parts dealerships. About $147 plus shipping. Seems AutoFit has a chrome one fer about $52 plus shipping.